The experienced audiologists at Kampsen Hearing are dedicated to providing the best services possible, personalized to your needs and care. Start your path to better hearing at Kampsen Hearing. Earwax accumulation can be problem for some people causing earaches and pressure, even a blockage. While excess earwax may be treated at home, professional care is sometimes necessary. Our audiologists can safely and painlessly remove excess earwax during an in-office procedure. Our skilled audiologists evaluate your hearing with several tests to determine the degree and type of hearing loss. A diagnostic audiologic evaluation includes pure-tone testing, bone-conduction testing, and speech testing. These test results are charted to determine your hearing loss and treatment. We review the test results with you and if you need hearing aids, we will discuss the various options available. 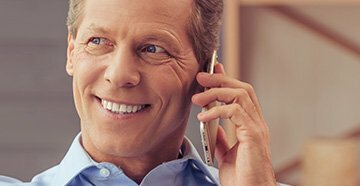 If the results of your hearing test indicate hearing aids would be of benefit to you, the experts at Kampsen Hearing will help you determine the best style and type of hearing aids for your needs. At your hearing aid fitting, our audiologist programs your new devices and makes certain the hearing aids fit well and are comfortable. You will learn how to clean and care for your hearing aids and we will answer any questions you may have. We also provide follow-up visits to make any minor adjustments for fit and sound. Even with the best of care, somethings things go wrong. At Kampsen Hearing, we service most major manufacturer’s hearing aid styles and models. Often minor repairs can be made at our West De Leon Street or South MacDill Avenue offices. If we can’t fix the problem, we’ll send the hearing aids back to the manufacturer for repair. Tinnitus is generally known as “ringing in the ears.” Some people hear buzzing or clicking noises. Tinnitus is not dangerous, but often causes stress, fatigue, anxiety and difficulty concentrating. While tinnitus itself cannot be cured it can be treated. Our experts at Kampsen Hearing can evaluate your tinnitus and work with you to find the best tinnitus treatment for your symptoms.